The current crisis unfolding in Mozambique and Zimbabwe in particular will tax and test the ability of humanitarian agencies and international aid organisations to provide both immediate logistical and emergency assistance to the tens of thousands who require it now. 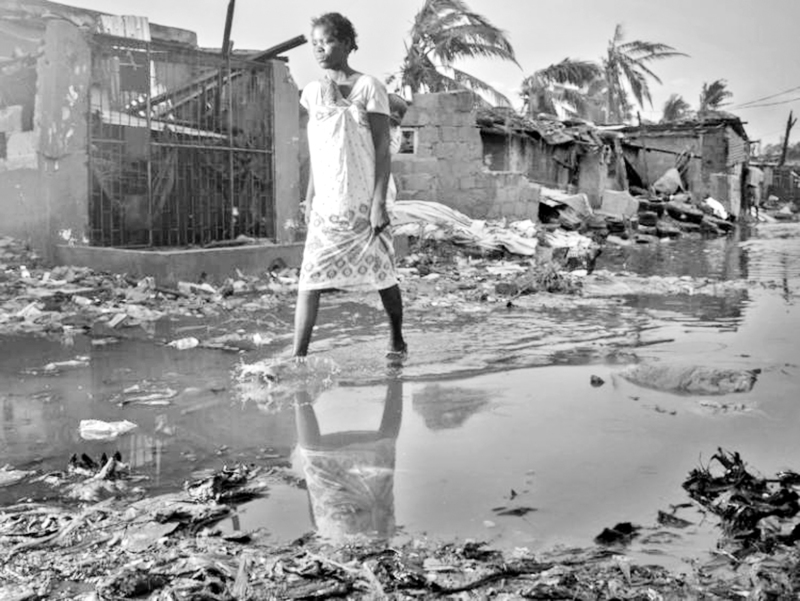 Sadly, the media’s failure to fully report the extent of the crisis, its toll, the full implications of Cyclone Idai on water, on food supplies, the threat of cholera and the sheer lack of resources faced by overwhelmed government bodies on the ground will result in more hardships.Given the way our natural world is being changed by our habits leading to global warming, cyclones and hurricanes are becoming stronger and more frequent, and weather events are becoming more unpredictable, and more disasters will befall more people highly vulnerable to such events. But if there’s one thing that is true about media bias, the more frequent events become, the less newsworthy they are held in the eyes of those responsible for the 24-hour news channels. If there is a lesson to be drawn from this, it is that 48-hour cyclones don’t cut it in a 24-hour news cycle.